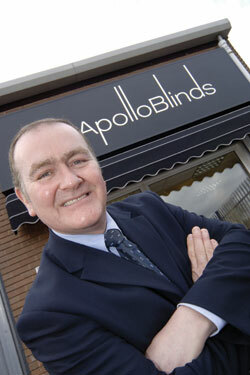 Apollo Blinds already has four franchises in Ireland and has identified at least 20 other key territories including Waterford, Cork, Kerry, and additional stores in Dublin, where it believes franchisees can build profitable and prosperous businesses as part of Apollo Blinds. The focus for expansion in Ireland is part of Apollo Blinds' aim to double its franchisee network within the next five years, backed by Apollo Blinds' parent company Hunter Douglas, which is the world's largest manufacturer of window blinds. Having the backing of Hunter Douglas puts franchisees at a distinct commercial advantage, according to Apollo Blinds' General Manager, Patrick Harrison.